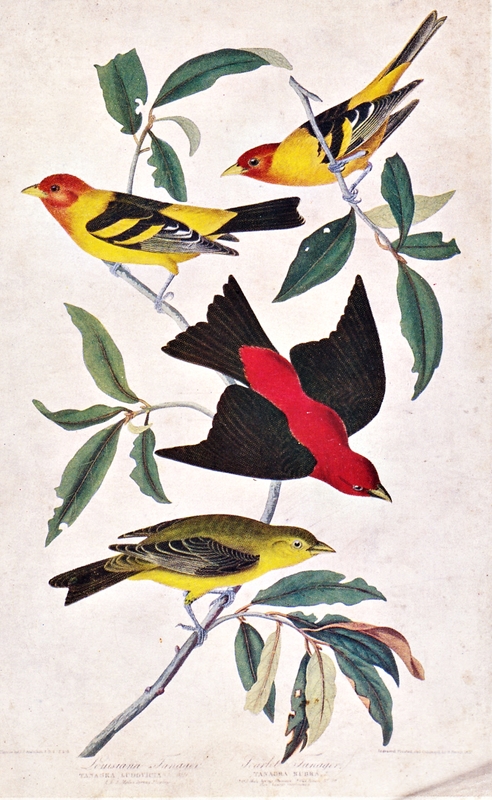 Today’s image is a beautiful postcard of the Louisiana and Scarlet Tanager Birds by John James Audubon, The birds of America, London 1835-38. John James Audubon, spent days and weeks in the forest producing countless life-size bird drawings. In the late 1800s, the Audubon Society was founded in his name, honoring his respect for birds and the environment. Il tuo Blog è molto bello e pieno di fascino.